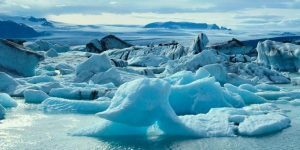 1.6 million to 12,000 years ago the Ice Age covered the whole of Europe. The Wildwood. From 4,000BC there were agricultural settlements in Sherwood. At this time, the whole of Britain was covered in forest and wild animals; wolves, lynx, tigers, bears, boars, deer, ox, roamed the forest. The streams were home to fish and beavers. 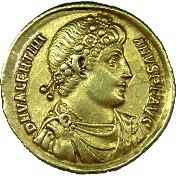 The Romans settled in the area in the 1st Century AD. 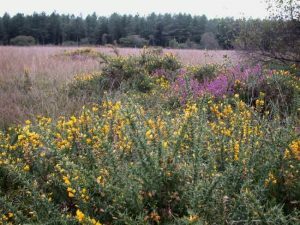 Much of the heathland originated from forest clearance by the Romans at this time. Our nearest Roman Settlement was between Budby and Gleadthorpe. The Angles and Saxons (410 to 1066). then invaded Britain, and many farms and villages were established. 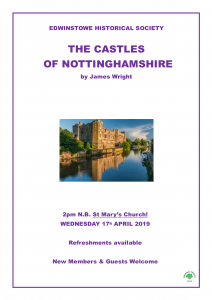 The Anglo-Saxon Chronicle states that in 617 Redwald, King of East Anglia, was slain on the borders of Mercia near a river called Idle somewhere between Ollerton and Rufford on the boundaries of Edwinstowe. In 633, Edwinstowe (Edenstou), which was a small settlement within the forest bounds, was named after King Edwin of Northumbria. 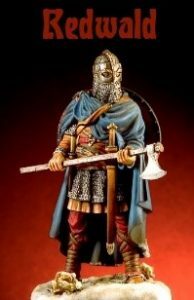 He marched south to fight King Penda of Mercia. Edwin was killed in the resulting battle, possibly near Edwinstowe at a small hamlet called Cuckney. Later in 1066, Edenstou was royal land. It was a Berwick or detached portion of the Saxon King’s manor of Mansfield. It was taxed 1.8 geld units and had only 5 households. 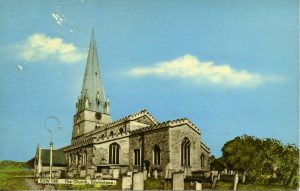 Edwinstowe was the mother church for surrounding villages. 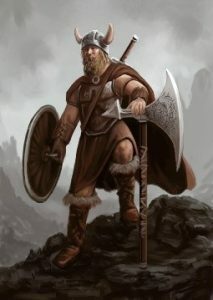 The Vikings during the 9th & 10th Century settled in the forest. The name ‘Sherwood’ was first recorded in 958 and was called Sciryuda, meaning ‘ woodland belonging to the shire’. 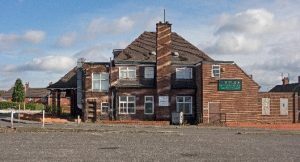 Birklands is a Viking name ‘birch lund’. The Normans introduced the ‘Forest Law’ in the 11th Century. 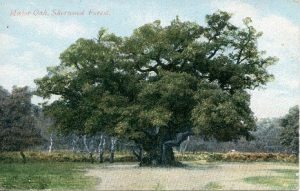 Sherwood Forest (Shire-wood) was 100,000 acres and was approximately a fifth of the whole of Nottinghamshire. 1172, saw the wooden church replaced with the stone church similar to what we see today. 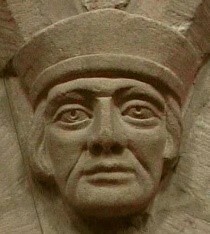 The fine sculptured corbel heads on the arches may have been inserted between 1260 and 1280. 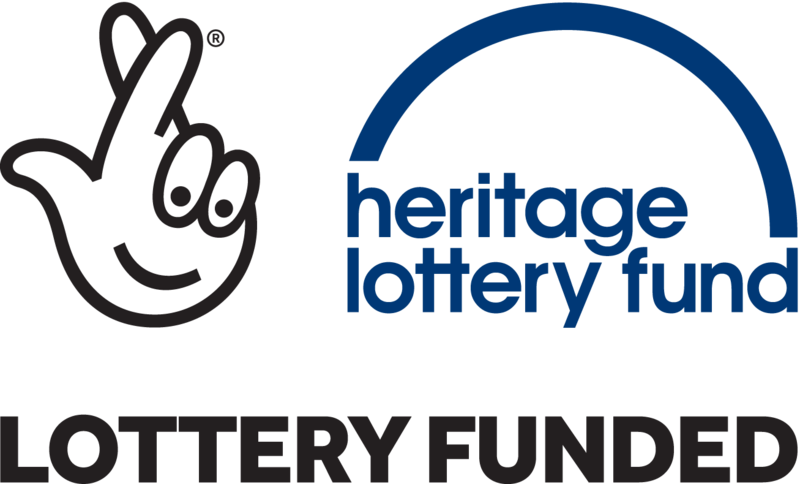 The first one is of Geoffrey Plantagenet, Archbishop of York 1191, and the second, Archbishop Thomas a Beckett, killed 1170. 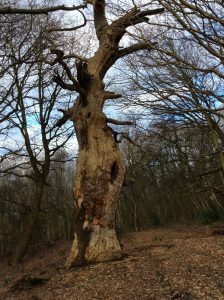 In 1215, Sherwood Forest saw the beginning of circumstances that led to the formation of the Magna Carta. 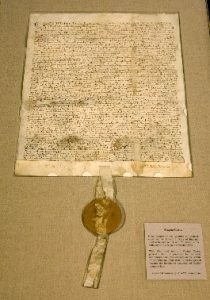 The Magna Carta was a document that was forced onto the King of England to limit his powers by unchangeable laws and so defend people’s rights. The Forest foot was used in the time of Richard Oysell (Edw.I 1272-1307) for renting the Wastes of the Forest, and was marked and graven in the chancel wall of Edenstou. 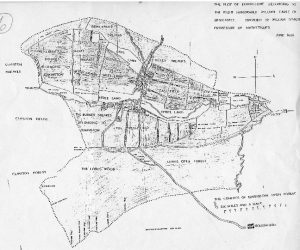 During the 14th Century, Edwinstowe was divided into two portions, the lower part being called, ‘Edenstou-by-the-Water’, near the River Maun and the upper part, ‘Edenstou-on-the-Hill’. The family of ‘Edenstou’ resided where Edwinstowe Hall stands now and another where Edwinstowe House stands. John-by-the-water seems to be the father. He was the King’s verderer (officer of a Royal forest). He retired in 1326. 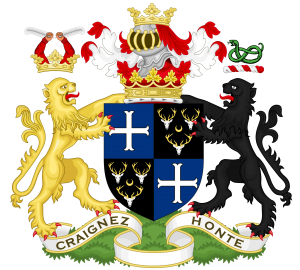 In 1341, Henry de Edwinstow, king’s clerk obtained a Chantry (grant) of £10 for the church. Chantry – An endowment to cover expenses for the saying of masses and prayers, for the soul of the person giving the endowment. St Edwin’s Day is on October 12th, an annual fair was granted in 1381, to be held in the churchyard. In about 1450, the church spire was built and the north aisle widened. During the 15th Century John Waterall, gave a house to the clerk of the parish, rent free, as a reading school. 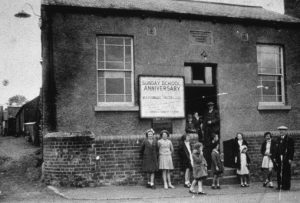 Possibly Edwinstowe’s first school. By 1600, Elizabeth 1 was on the throne and much had changed. 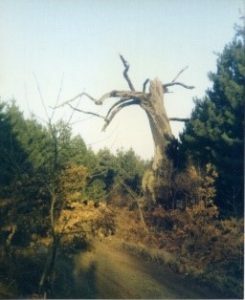 The Crown still owned parts of Sherwood but it was no longer a hunting forest and many oaks were felled for ship building and land cleared for farming. In, 1790 ten oaks were used for the roof of St. Paul’s Cathedral in London. In 1627, Ann and William Munday endowed properties for the poor of Edwinstowe, Budby and Clipstone. The cottages were situated in Mill Lane. Lightning struck the church spire in 1672. Parishioners petitioned Charles 11 for repairs. He agreed that 200 trees could be felled and sold to cover costs. 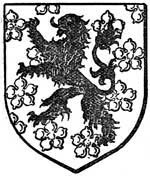 From 1684, the breakup of the Royal Forest began. Crown lands were sold off as parks. In 1719, John Bellamy endowed alms house for the poor and started a school for the education of 8 boys. These were situated on the site of the War Memorial. By 1801, Edwinstowe had a population of over 500. In 1815, the Duke of Portland exchanged his lands at Edwinstowe with Earl Manvers in return for Holbeck. 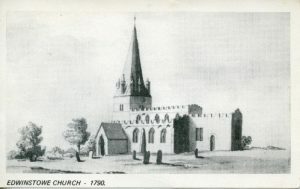 Methodism came to Edwinstowe in 1796. They met in 1801 at Wm. Ward’s. 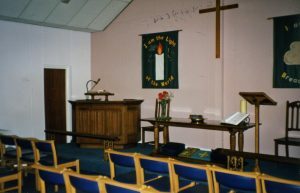 In 1848, two chapels opened, a Primitive Methodist and a Wesleyan. In 1818, following the Enclosure Act, the fields of Edwinstowe were divided by hedges and fences into smaller fields. The Duke of Portland constructed the Water Meadows for draining and irrigating. The church walls were plastered in 1820 and the following year the clock was installed. A new schoolhouse was built in 1824, an Infant School in 1845 and a National School in 1872. The Oddfellows (a society to represent fellow craftsmen and support various trades) started in 1831. In 1834, following ‘The Poor Law Amendment Act Reforms’, the Parish became part of the Southwell Poor Law Union. In 1838, Christopher Thomson started the Penny Library. Self-help groups, financial support for the poor and ‘night classes’ for Reading, Writing, Maths, Music and Drawing were provided. The church bells (one dated 1662 and two dated 1752) were recast in 1889. The chancel was reroofed in 1892 and 5 years later the nave reroofed and the plaster removed from the walls. 1896, saw the coming of the railway to Edwinstowe. 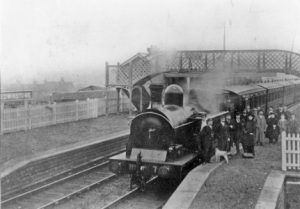 The first train steamed out of Edwinstowe at 8:45am reaching Ollerton 4 minutes later. The train became a tourist line to the forest and was known as ‘The Dukeries Line’. 1897, saw the death of Rev. Ebenezer Cobham Brewer, a famous author, whose daughter was married to the vicar of Edwinstowe Rev. H. T. Hayman. The first piped water came in 1905. Gas becme generally available from 1920. Electricity came later with the sinking of the colliery. In 1912, 30 Suffragettes, including Emmeline Pankhurst, visited Edwinstowe. It is said they all managed to get into the Major Oak. 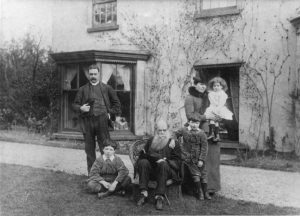 In 1918, Cecil Day-Lewis (future Poet Laureate and father of actor, Daniel) was 14 years old when his father Reverend Frank Cecil Day-Lewis became Vicar of Edwinstowe. 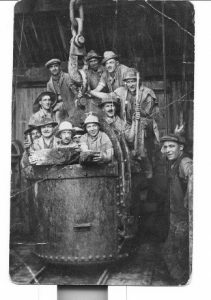 In 1925, the sinking of Thoresby Colliery mine shaft began. It served as Edwinstowe’s main source of employment until July 2015, when the mine was permanently closed. The building of 500 Colliery Company houses started in 1926 and was completed by 1931. The first phase of the Council School began in 1928. 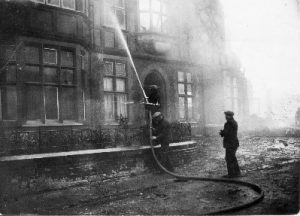 A fire broke out at the Dukeries Hotel, in 1929. The Edwinstowe Fire Brigade had to pump water from the River Maun as the fire hydrants were frozen. 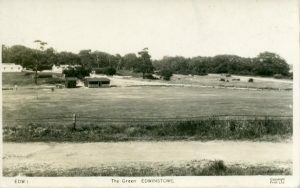 Tennis Courts, bowling Green, putting green and recreation ground (Rec) were completed by 1930.The Welfare Hall opened in 1933. It was paid for by the Miners’ Fund. Financed with deductions from miners’ wages’. The sports ground with pitches for cricket, football and hockey opened in 1936. 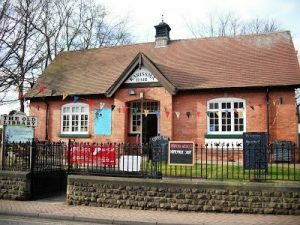 It had a brick pavilion and tea room. The Institute was opened 10 years later in 1936. 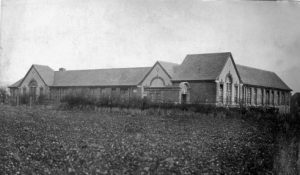 The infant school and Central Hall opened in 1932. During WW11, much of the forest and surrounding area was used as a large ammunition dump/store. A prisoner of war camp was situated near the cricket pitch and later the ‘Nissen’ huts were used for ‘displaced persons’ mainly from Eastern Europe. In 1953, the whole church was underpinned by British Coal to prevent mining subsidence. 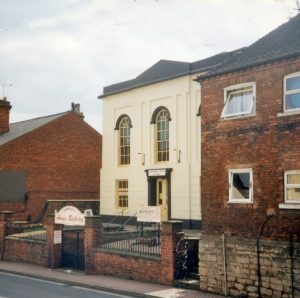 In 1982, a new Methodist church was built behind the old church. In 1992, there was a community enterprise to stitch a parish map, measuring 10′ x 8′. It was finished in 1996. 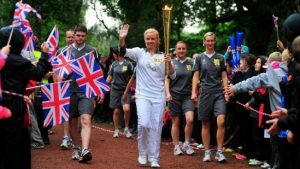 28th June 2012, saw the Olympic torch pass through Edwinstowe and part of the Forest. Thousands lined the route including many local school children.